Trucks are one of the oldest types of vehicles in existence, with their earliest version appearing in the 1800s and starting to take off past 1900 as the steam wagon. Throughout this time, trucks have remained true to their original purpose: carrying heavy cargo loads. The trucks most people think of when they hear the word are actually ""light trucks,"" car-sized vehicles meant for personal and small business use. This type of truck is what this guide focuses on. These trucks are sometimes referred to as ""pickup trucks"" instead (for reasons nobody knows), but regardless of the name, trucks are associated with power and toughness. Curiously, most people don't buy pickup trucks for work - instead, they're often selected as a lifestyle choice and used similarly to passenger cars. Accounting for almost 1 in 5 vehicles sold, trucks are easy to find on the used market and can often be rented for short-term needs. Since they're built for power, pickup trucks typically come in four-wheel drive versions capable of heavy rear loads and towing motorhomes, boats, or other large, heavy trailers behind them. Aside from the powertrain, however, there are two major types of trucks sold. The first version is the cargo-focused truck, which has a small passenger cabin and a large truck bed. These rarely carry more than three people in comfort but offer plenty of space for tools, gardening material, or anything else the owner wants to haul around. They're also a popular choice for carrying campers and other significant modifications. The second version is the passenger truck, which has a smaller cargo bed and a larger, two-row passenger cabin. This is more of a family or work crew vehicle and tends to come with more features and luxuries than the cargo-focused version. Regardless of style, trucks tend to be elevated higher off the ground than most other vehicles, making them more difficult to get in and out of. To solve this, it's common for manufacturers to add handlebars and steps that passengers can use when getting in and out, though it's rare to find steps that make it easy to get into an opened cargo bed. Other sizes of trucks include ultra-lights (which are typically 1-2 passenger vehicles meant for narrow spaces and graceful movement), medium trucks (which mostly see use with public utilities like firefighting and garbage collection), and heavy trucks (large dump trucks, heavy cargo trailers, and so on). Listed below are the trucks that received the 2019 J.D. Power award for highest quality, based on verified owner feedback detailing the number of problems they experienced with their new trucks during the first 90 days of ownership. Listed below are the trucks that received the 2019 J.D. 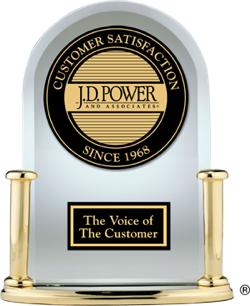 Power most dependable award based on verified owner feedback detailing the number of problems they experienced with their trucks throughout three years of ownership. The fewer the number of problems reported, the better. Listed below are the trucks that received the 2019 J.D. Power award for best performance based on verified owner feedback after 90 days of ownership.